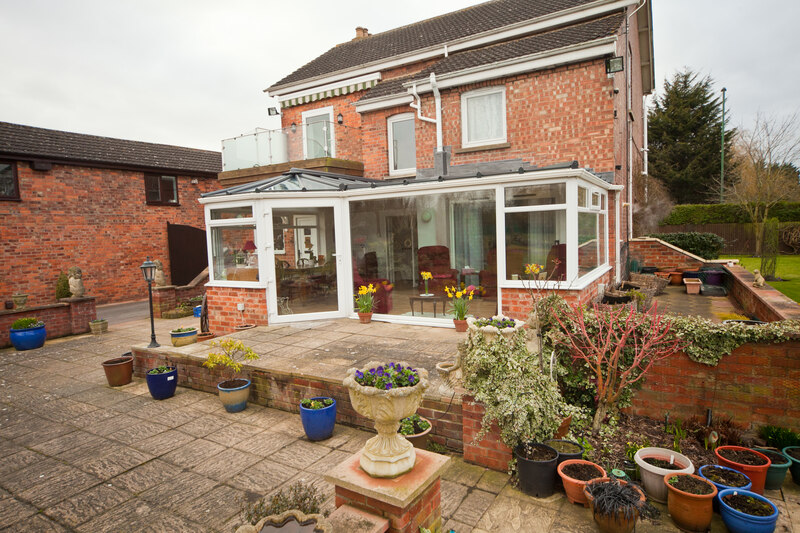 Extend your home with one of our UPVC conservatories. 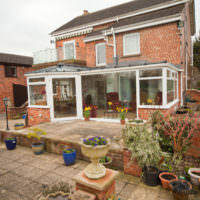 A wonderful addition to your property, a conservatory brings additional space to use all year round. 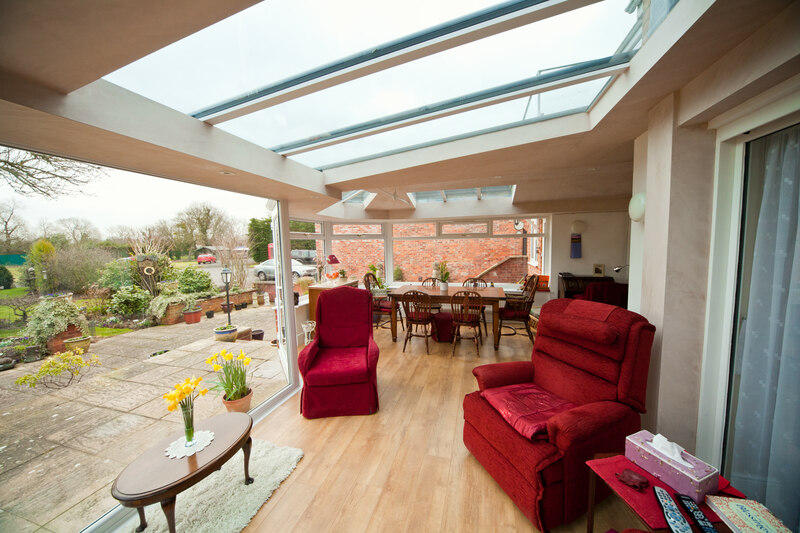 A conservatory will quite simply, transform the way you live. We offer a stunning range of UPVC conservatories in Southampton, Eastleigh, Romsey, Winchester, and the surrounding Hampshire towns. Our highly crafted conservatories are available in many different styles to match your home so whether you are looking for traditional or modern conservatory designs; we have the right style for you. Using a breathtaking choice of designs, finishes and doors styles, our consultants will help create a conservatory design which meets your living requirements as well as your budget. When choosing a conservatory for your home, you will be presented with many style and build options. 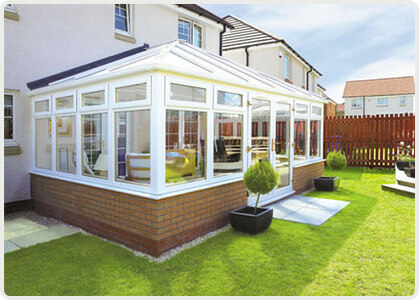 Our experts are here to help you choose the right conservatory. 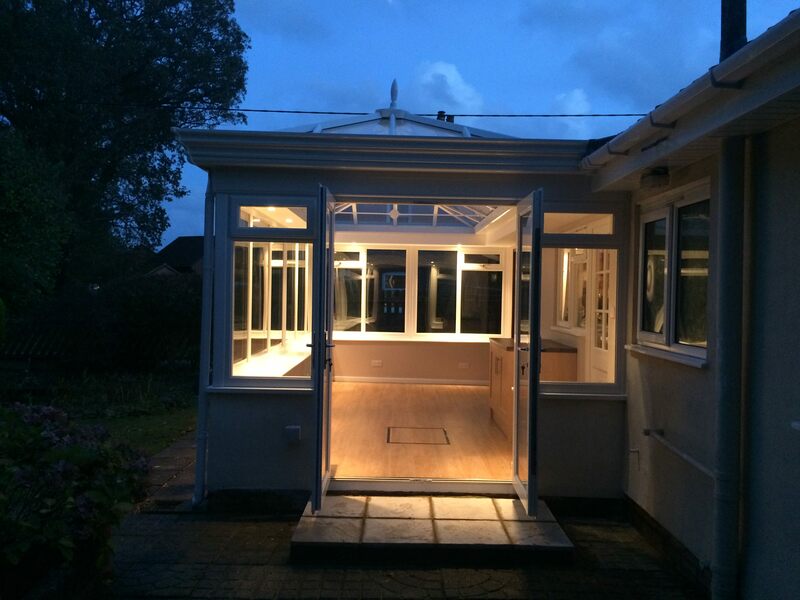 How do you plan to use your conservatory? This is one of the questions you will want to consider. Functionality is key. What do you hope to get out of your additional space? Whether it is a playroom for your children, a study to work from home, or simply a place to relax, our conservatory styles are designed to suit a wide range of specifications. Victorian conservatories can be described as octagonal in shape. 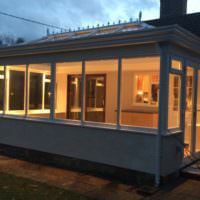 These UPVC conservatories are available with 3 or 5 facets and are traditional in design. They feature beautiful finials and ornate finishing for a quaint and classic look. Victorian conservatories have a pitched roof with ornate ridges and look great in Victorian style properties, complementing the existing structure. Gable conservatories, originally inspired by late Georgian architecture, are traditional in style. They feature a vertical front and impressive steep pitched roof. These conservatories are certainly very grand in design. Featuring ornate detail and delicate finishing touches, this style offers a stately feel. The UPVC Gable conservatory is perfect for larger properties due to the height of it’s apex. 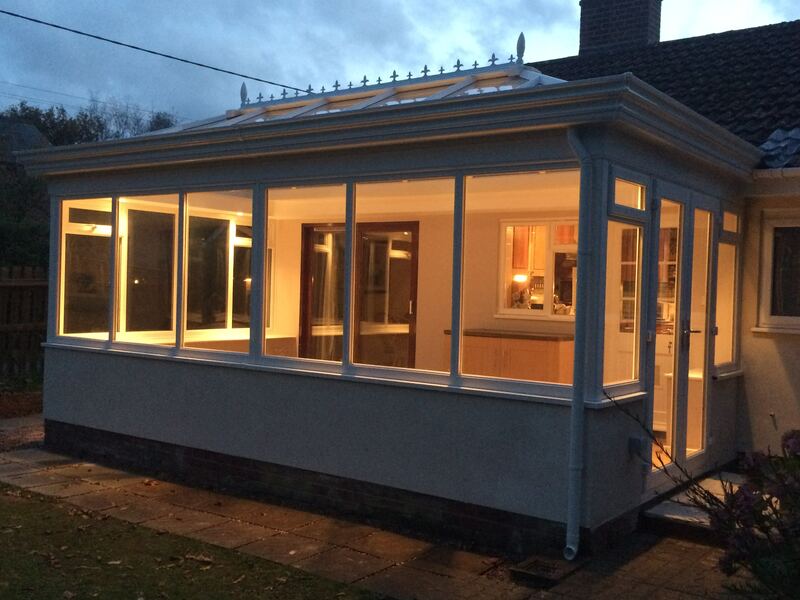 The Edwardian conservatory is another traditional design but unlike the Victorian, this style is flat fronted. The Edwardian conservatory design provides generous floor space, allowing for the addition of furniture. This style can also have lots of ornate detail however, many keep this design clean of any fanciful detailing and instead opt for a classic understated look. Either style will provide a striking addition to your property in Eastleigh or Southampton. 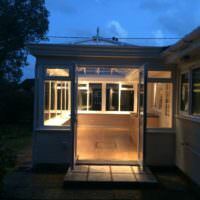 The lean-to is possibly the most simple and cost-effective conservatory on the market. This beautiful yet understated design is rectangular in structure and features a single pitched roof. Perfect to those working to a budget. 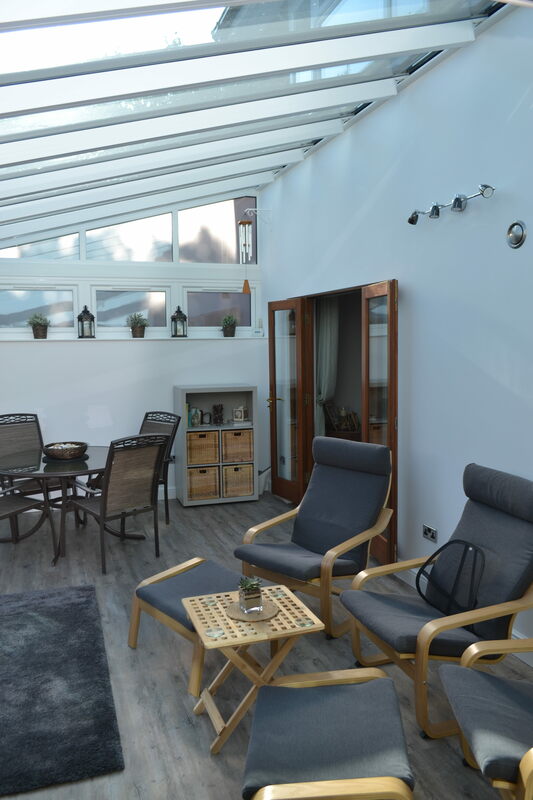 A great choice if you are limited in space, the lean-to conservatory is ideal for properties with height restrictions such as bungalows or terraced properties in Eastleigh and Southampton. 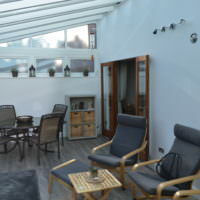 One of the most important considerations when specifying your conservatory is the roof. 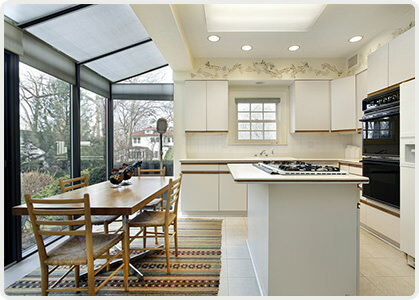 Your conservatory roof is integral to overall energy efficiency. Our conservatory roofs will reduce heat transmittance whilst offering structural integrity and wonderful aesthetics for homes in Eastleigh and Southampton. 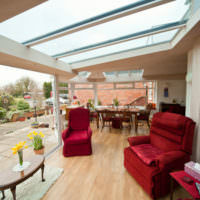 Replacing your old conservatory roof can have a remarkable effect in the way your conservatory looks, feels and sounds. Upgrading to our Ultraframe conservatory roofs will transform your conservatory so you can enjoy it no matter the season. The Ultraframe conservatory roofing system uses state of the art manufacturing technologies and has established worldwide reputation for quality. Elegant and contemporary designs are combined with a strong, rigid, lightweight roofing system which has been developed over 18 years of extensive research and development. Choose from a wide range of different-styled finials, ridge-cresting as well as tie bars. Our stylish conservatory roof systems allow you to personalise your conservatory. 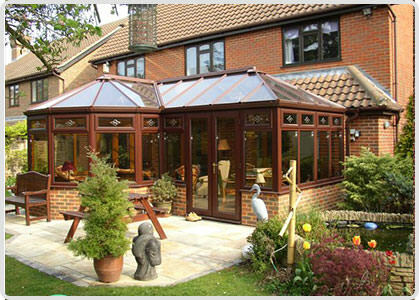 Calculate the cost of your Southampton conservatory using our free online quoting engine. 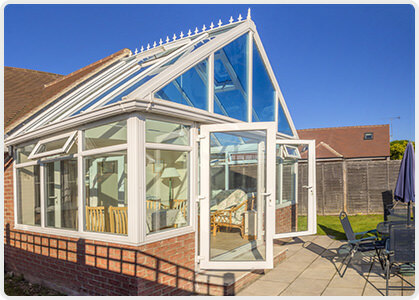 Browse our range of conservatory styles and get instant prices for your chosen design. See our conservatory prices.